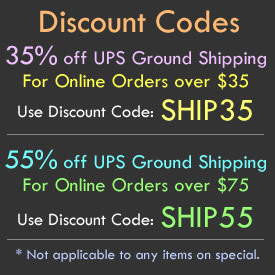 - Fiber Optic Wands with 6 Color Settings! 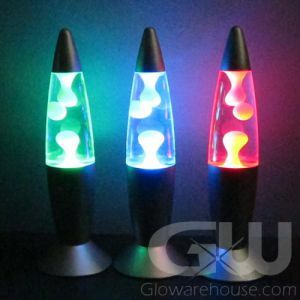 - More Light and Colors for Dancing and Partying! - Wedding Send Offs! Epic Glow Parties! 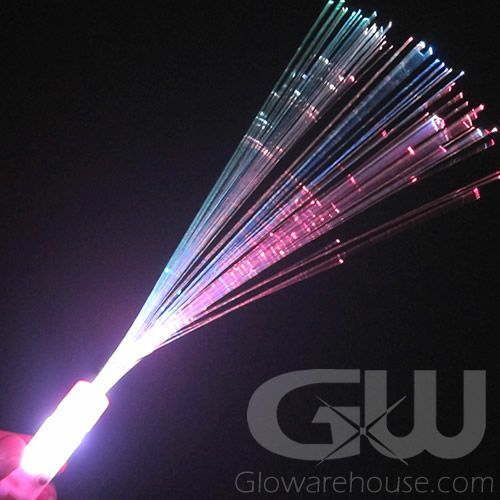 Flash and Stream all your favorite colors through the air with the amazing Multi-Color Fiber Optic Wands! 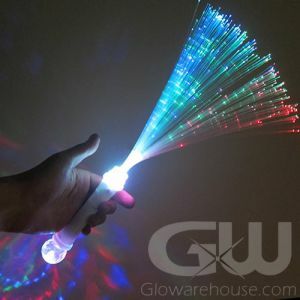 Multi-Color Fiber Optic Wands have 6 fun color and light settings including a Fast Flashing Setting in all colors, Rainbow Color Change, All colors on, Flashing Red, Flashing Green and Flashing Blue. That's a lot of color and light! 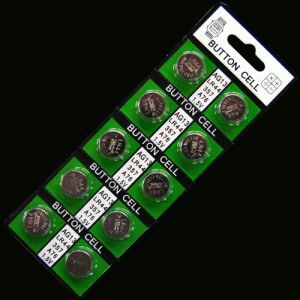 All you have to do is press the button on the handle to turn it on and find your favorite one! 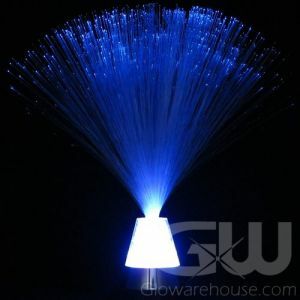 Fiber Optic Wands are perfect for epic wedding send offs, festivals, school dances and special events. 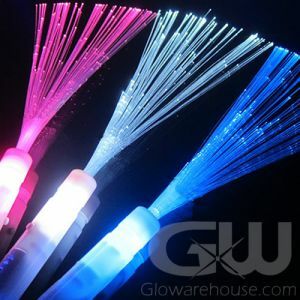 Now get out there and show your true colors with Multi color Fiber Optic Wands from Glowarehouse.com!